The coaches meeting decided on assigning a coach to specific disciplines in order to better gauge a paddlers ability in their chosen field/s. This will help facilitate a more personalised training programme, which each individual can work on at their own pace. With set goals, such as future trips, the paddler will have something to aim for; improving their skill set in a timely fashion to meet the standard required to participate in that particular activity. It will also enable the paddler to better judge whether he or she has the capability of attending a trip/venue without giving too much concern to the organisers. 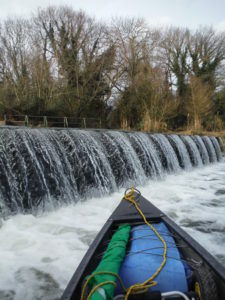 With that said paddlers will be encouraged to attend certain trips which will help improve their confidence and paddling skills by the very nature of the river/water body being paddled. It is hoped that this will maximise the paddling talent in the club, improve everyone’s standard and make for a much more enjoyable experience both on and off the water.